Product version: v2.4.10, last updated: January 8, 2019. WooCommerce GoCardless Payment Gateway is a WooCommerce Extensions being developed by Woothemes. 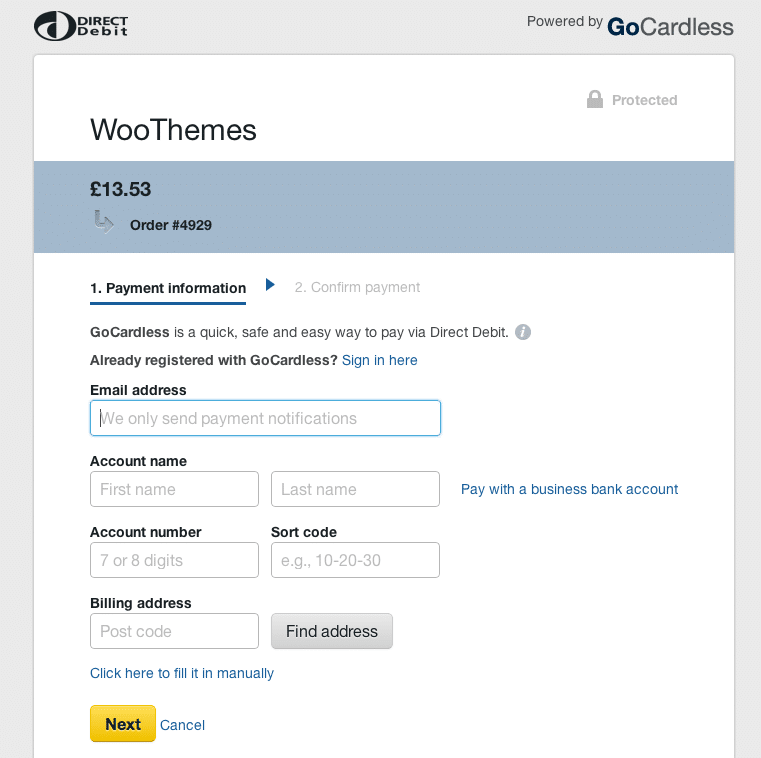 WooCommerce GoCardless Payment Gateway allows your store to accept online payments with direct debit via GoCardless gateway. This extension support WooCommerce Subscriptions.